Who or what could be seen as the inspiration for the near-tragic accident from which nanny Ogg is saved only be a special willow-reinforced hat made for her by Mr Vernissage of Slice? Each Faculty at the Unseen University has provided a set of questions, and answers are included for those who are not sure how the poisonous effects of quicksilver fumes are an occupational hazard of magic-users. The questions have been compiled by Mr David Langford, who knows quite as much - and arguably more - about the Discworld as its Creator, and Terry Pratchett has provided an Introduction. 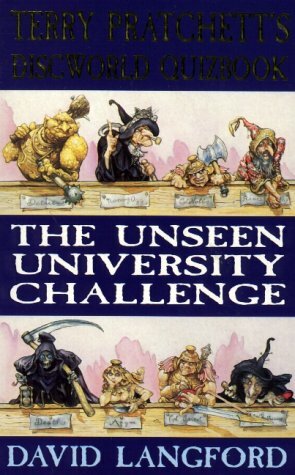 The ultimate challenge for all Discworld aficionados! David Langford is a multi-award-winning writer of humour and science fiction. He has been intimately involved with Terry Pratchett's Discworld for three decades, and has worked on a number of Discworld projects, including the compilation of two Discworld quizbooks for Gollancz.